JLR's Castle Bromwich plant, show, will be affected by a production pause. LONDON -- Jaguar Land Rover said there would be a week-long pause in production in April due to potential disruption from Brexit which would affect all three of its UK car plants and its engine plant. The automaker has previously warned about the impact of Brexit. It has already had to cut production due to slowing demand in China. 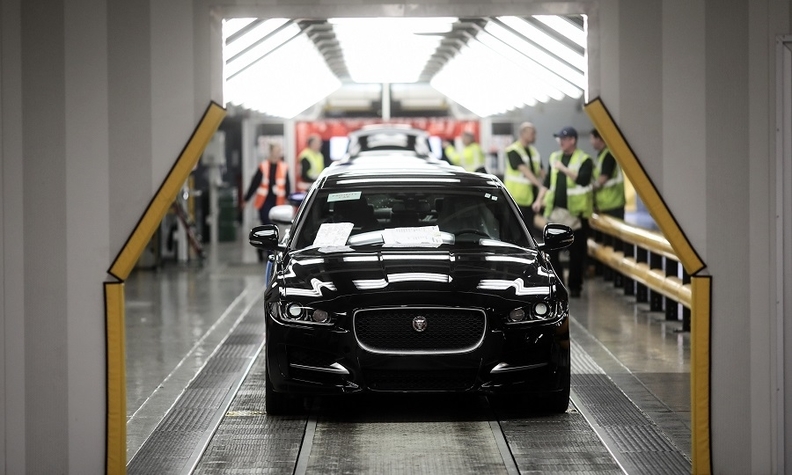 "There will be an additional week of production stand-down 8th - 12th April due to potential Brexit disruption," Jaguar Land Rover said in a statement on Thursday. Britain is due to leave the European Union on March 29, but Prime Minister Theresa May's Brexit plan was defeated in parliament last week, raising the prospect of Britain leaving without a deal.